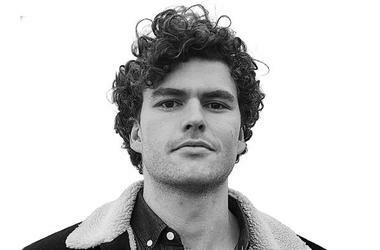 Vance Joy is an Australian singer and songwriter whose single “Riptide” became the best-selling song in Australia in 2013 and earned Vance a five-album deal with Atlantic Records. He released his debut song “From Afar” on January 21, 2013, and released his debut EP God Loves You When You’re Dancing on March 22, 2013. He won Best Male Artist at the 2015 ARIA Music Awards. Born James Gabriel Keogh on December 1, 1987 in Melbourne, Victoria, Australia, he is of Irish descent. He attended St. Patricks Primary School and graduated from St Kevin’s College, Toorak in 2005. He later graduated from Monash University with a Bachelor of Arts and Bachelor of Laws. Prior to his music career, he was a promising Australian rules football player. He played for the Coburg Football Club, and the Coburg Tigers, as key defender in the Victorian Football League, winning best first year player award in 2008. Siblings: He has one sister. *He was born on December 1, 1987 in Melbourne, Victoria, Australia. *Growing up he was a fan of Buffy the Vampire Slayer. *In 2013, Joy signed a five-album deal with Atlantic Records. *His single “Riptide” was voted #1 on the 2013 Triple J Hottest 100.